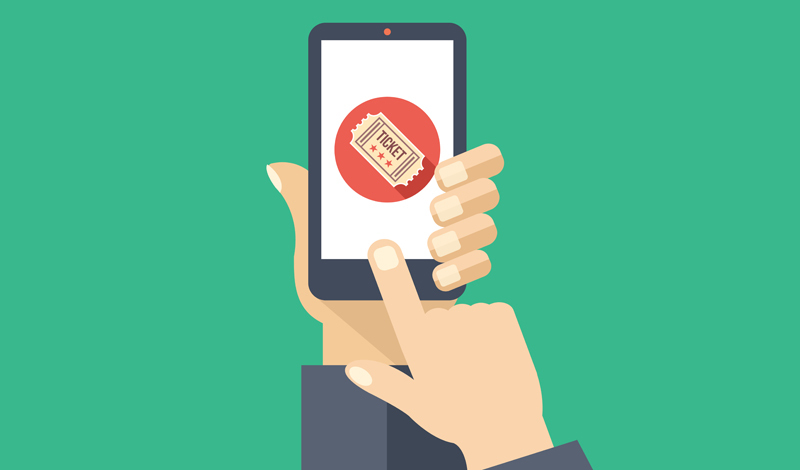 Ticketing software, also known as attendee tracking system, is a type of computer program that is designed to help venues keep distribute, organized and keep track of event tickets. If your business hosts ticketed events or if you work with an event venue, it is important that you utilize some type of ticketing software to help manage ticket purchases without having to start an online store. There are many different types of ticketing software available to choose from. However, we have compiled a lists of the top 6 programs that you can utilize today. SeatAdvisor Box Office, or SABO, is a cloud-based ticketing platform that offers a great attendee tracking solution. This software enables venues to sell tickets to their customers simply and quickly. SABO allows you to sell tickets through all channels, including walk-up counters, online ticket sales and over the phone. Using SABO software, you can even bundle events and create discount packages. In addition, SeatAdvisor Box Office software also features analytics tools to identify buying trends and customer preferences. If you want one of the best ticketing platforms available, SABO is the perfect ticketing software for you. ThunderTix is a ticketing software solution that is designed for small businesses and performing arts events. This program does not charge ticket fees, nor does it take a percentage of overall sales like credit card processing fees. Instead, you just pay for one of their many subscriptions, which are as low as $39 per month. This will provide you with analytics and tracking for ticket purchases, online support and even barcode scanning with their free app. Ticket Spice is a popular ticketing software option for many enterprises. With mobile ticketing, social media integration and custom ticket fields, this program is everything you need for a proper event, regardless of whether you are hosting a sales training event or a concert. However, instead of a monthly subscription fee, Ticket Spice charges one dollar per ticket sold. This is great for events with higher ticket prices, because it equates to a much smaller percentage. Popular venues and bigger businesses should definitely consider this software option. Simple Tix has everything you need to sell out your venue. With an integrated Facebook ticket shop, this simple solution can help you reach a lot of people on the top social media sites. Additionally, Simple Tix offers interactive seating charts to your customers so that they can get the full experience before they even arrive. The software offers two different payment plans to suit the needs of any business. For $49 per month you can enjoy all of the premium features, including a discounted $0.79 per ticket for your events, or you can opt out of the monthly subscription with their express plan and stick to one dollar per ticket. Vendini is a ticketing software that specializes in live music, comedy and festivals. In addition to ticketing services, Vendini offers a variety of fundraising, marketing and patron management solutions so that you have everything you need to manage your event in one place. They offer one of the most unique small business technology apps in the space. Best of all, you can request a demo of this software before you buy it, which will allow you to get a taste of everything it as to offer. Eventbrite is a popular and affordable ticketing service available for every size event, from the largest crowds to the smallest get-togethers. Eventbrite allows you to post and promote your events at no charge, even if you do not use their ticketing service. This is similar to the business model of Palantir software. If you want a simple and customizable way to promote and sell tickets to your event, Eventbrite is perfect for you. Ticketing software is an essential part of hosting events for your business. If you want an easy and simple solution to selling tickets, SimpleTix or ThunderTix may be for you. However, you can also enjoy additional event management through Vendini and Eventbrite. No matter what you choose, any of these ticketing software programs will help you boost your business event.